This product supports furniture bases for quick and hassle-free moving. This furniture slider reducing noise, and reducing damage to legs and floor. This product can be used on home furniture like dressers, chairs, cabinets, studio desks, sofa, recliners. Be careful when use in wood floor, especially moving heavy furniture. 2. Please allow 1-3mm difference due for different manual measurement. 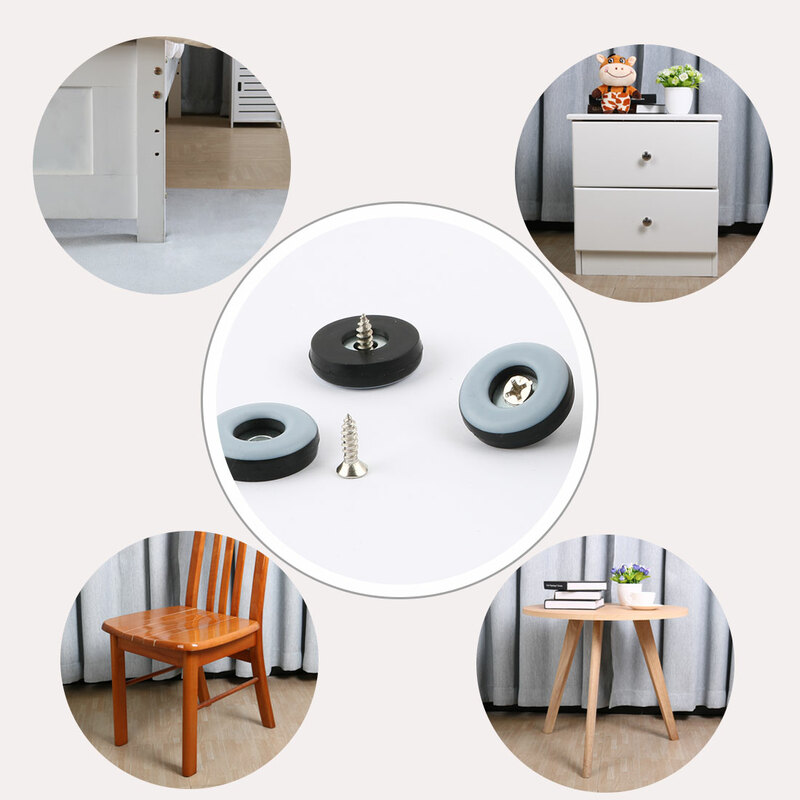 Our furniture slider create strong shield between floor and furniture, desks, tabletops, which carefully protect surface from scratches and scuffs. Material: Metal,Plastic; Total Size: 22 x 5mm/0.9" x 0.2"(D*T); Screw Size: 20 x 4cm/7.9" x 1.6"(L*D). Can be used on tables, chests, chairs, curio cabinets, desks, and a variety of heavy furniture items.